Today, I am sharing another craft project I did I few weeks ago in preparation for Christmas. These cone trees are very simple and inexpensive to make. I have seen them in the stores and they can be kind of pricey. You will need poster board, fabric and ornaments of your choice, scissors and a glue gun. 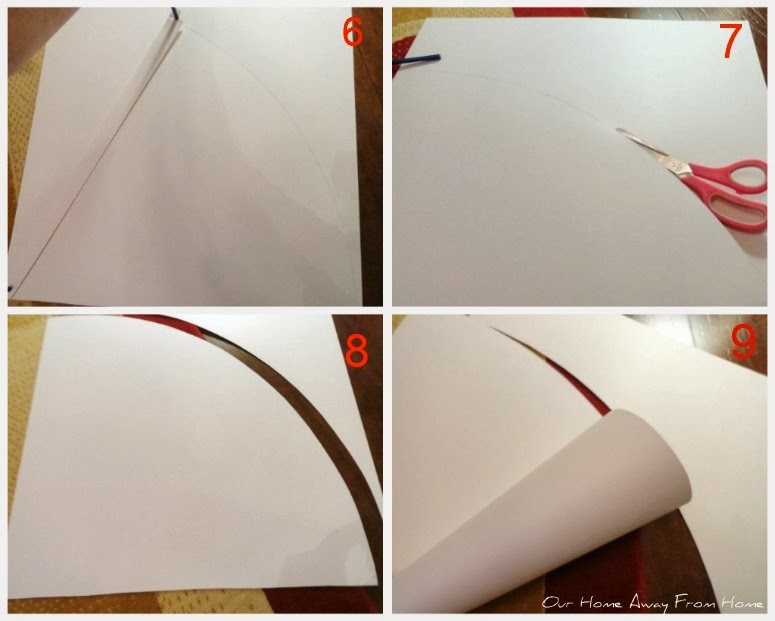 Start by cutting a one each strip of the shorter part of your poster board. On the strip, poke a pin through one end. And a pencil through the other end. Secure the strip to the corner of your poster board using the pin. Place the pencil end on the other corner and start tracing. Using this method, you will get the perfect cone. Use hot glue to secure it. To make the smaller trees, just cut 2 inches of the strip with the pin and pencil. You will use the same strip to trace your fabric, that way it will be the same size. I made mine using two different colors of burlap and one made of fabric that compliments those colors. I also used a little burlap ribbon on just one of the trees. I found the ornaments at Walmart. And I used a set of candle holders I already had as a base. I will share soon how I will be using them to decorate our home for the Holidays. Very cute, Maria! They look great on your candlesticks, too. My kind of project! Your cone trees are adorable! Love your choice of material and decorations, and that you used poster board to make the cones. What vision! Why can't I think up of things like that. So festive, I love them :) Happy Thanksgiving! Very cute, Maria Elena! I just recently made some cone trees using poster board to form the cones -- how simple is that, right? I'll be sharing mine pretty soon! So simple and so cute! I just love your craft ideas!!!! Such a cute project! Walmart sure has some pretty ornaments this year. Can't wait to see more of your Christmas decor! Hi Maria! Love your little trees! So pretty! Thanks so much for hosting the party in such a busy season! These are so cute, Maria Elena! 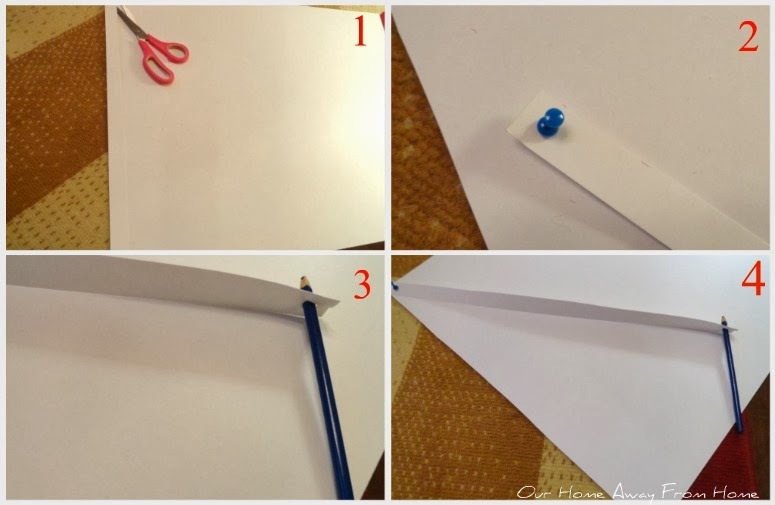 You always have the cutest craft ideas! Wishing you and your family a very Happy Thanksgiving! Hi Maria! I love these little trees and thanks for the tute! Maria these look so good! Great tutorial yet!! Pinning! Oops, I meant greatest tutorial I've seen yet!